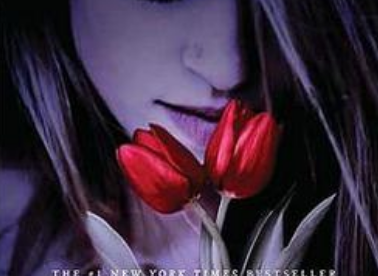 If you liked the book, or its movie adaptation, “Fallen” by Lauren Kate, I think you would enjoy this series much better. This series is nine books long, and I think each one of them are about 300 pages long. The main character, Ever, was in a car accident that unfortunately kills everyone, except herself. She had a near death experience, but it was hardly near. Ever hoped and prayed that everyone else made it out of the car. When she turned around, she saw the rest of her family walking down a path. Ever ran after them but was distracted wanting to stop and smell the roses. Only, she waited too long and before she knew it, her family was waving goodbye as they crossed over a bridge. She finally came to when someone called her name, but then passed out again. Ever since the accident, she has noticed very weird things, for example, Ever can see everyone’s aura. A really cool feature in this book is that Noël included an aura color chart, so the readers don’t have to keep Googling what the colors mean. Red could be energy, passion, or fear; orange could be ambition, or lack of will; pink could be love or sincerity; grey could be depression or low energy; and there are many other colors. Not only can Ever see auras she can know someone life story with just one touch and read minds. She can see dead people as well, like her little sister. It’s always the same except for Damen, the new guy in town. He is the only one who is able to quiet her mind, and she has no idea why. I remember being in love with all nine of these books when I was a freshman in high school. I’ve always wanted to reread them, but I’ve been terrified that in the seven years since I’ve read these that my taste has changed. I don’t want to ruin the deep love that I had with these characters. But as I was thinking of how I wanted to summarize it, I got stuck into reading it more than I did writing the review. I am definitely going to read this entire series once again. This might be a spoiler, so if you are thinking about reading this series stop right now. This entire book is just setting up the background for the next eight. Evermore does not end on a cliffhanger, so you might not feel compelled to pick up the next one which is Blue Moon. In Blue Moon, we are introduced to a new character who causes a lot of annoyance for the rest of the series. Basically, Damen is an immortal and Ever is his soulmate, but every time they get together, she dies. This has been going on for centuries. This new character is mind controlling everyone, even Damen. The mind controller tricks Ever in curing Damen, but instead of curing him she makes it even worse. As I am remembering the plot, I get even more frustrated with it. Instead of curing Damen, she gives him this curse where if they touch both Damen and Ever would implode. Their cycle is going to end, and they will never become soulmates. The rest of the series is Damen and Ever trying to figure out the cure, but with one condition. They can never touch each other.